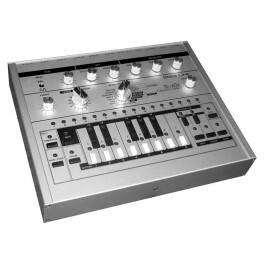 It not only contains the classic functions, such as For example, a 16 Step a 'la 909 chase sequencer or the sound of a TB-303, but this device can be easily modified. Anyone who deals extensively with the x0xb0x, will quickly realize that it can not only produce bass, or leads, but what fantastic drum-like sounds can be tickled out there. It is incredible but true! 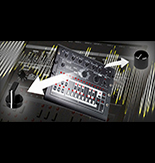 Although only monophonic, this device can not only generate the typical TB sound with the correct settings, but also generates analog drum-like sounds at the same time as certain settings of the controls. * All photos shown in connection with this offer, can vary from the original! Please only use a plug adapter with the following values. AC 220/230 Volt / 9 Volt AC, 500mA. The use with higher deviating data / values eliminates the guarantee or warranty.